Is the JetBrains' IntelliJ the Real Android Monopoly? 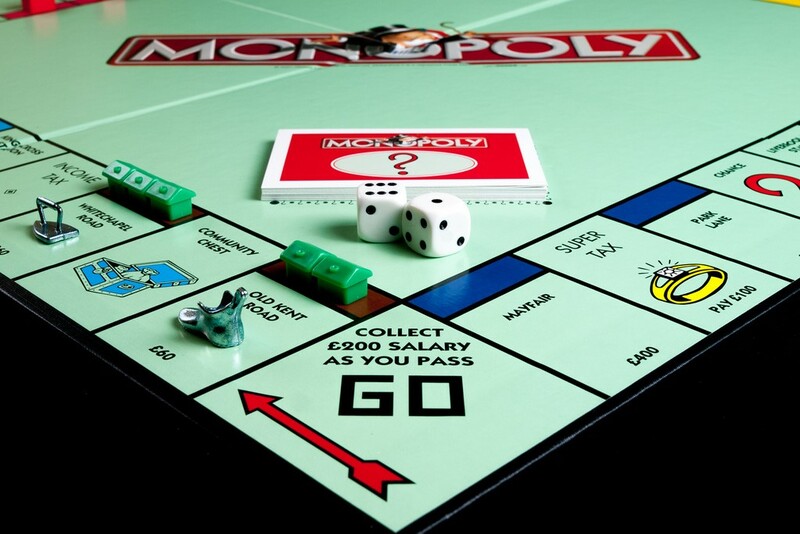 Is the JetBrains’ IntelliJ the Real Android Monopoly? This week the European Union fined Google €4.3 billion ($5 billion) for abusing Android’s dominant position in the mobile device market. The argument is the same one used against Microsoft 20 years ago — that “forcing” OEM manufacturers to bundle its browser gives it an undue advantage in the search advertising market. We’re not antitrust experts, but we noticed that independent development environments (IDEs) are another area where Google has an advantage where Microsoft once ruled the roost. According to the 2018 StackOverflow survey, 40 percent of developers use either Visual Studio Code or Visual Studio. Google’s Android Studio is used by 19 percent, but that figure changes drastically when looking at the one in five respondents that work on mobile applications. Among this group, 57 percent use Android Studio as a development environment. Outsiders may not know this, but Android Studio is based on JetBrains’ IntelliJ. So, although they are different products, in reality the user experience and functionality are similar, which gives JetBrains an edge as it tries to sell paid versions of its software. Among mobile developers, 32 percent use IntelliJ. The connection between these two IDEs shows up in the adoption data. Four out of five mobile developers that use IntelliJ users also use Android Studio. Forty four percent of mobile developers using Android Studio also use IntelliJ. Besides its shared heritage, Kotlin is something else that binds Android Studio and IntelliJ together. For a relatively new language, the 14 percent of mobile developers using it significant. For those that use Kotlin, a whopping 93 percent are using one of the aforementioned IDEs. 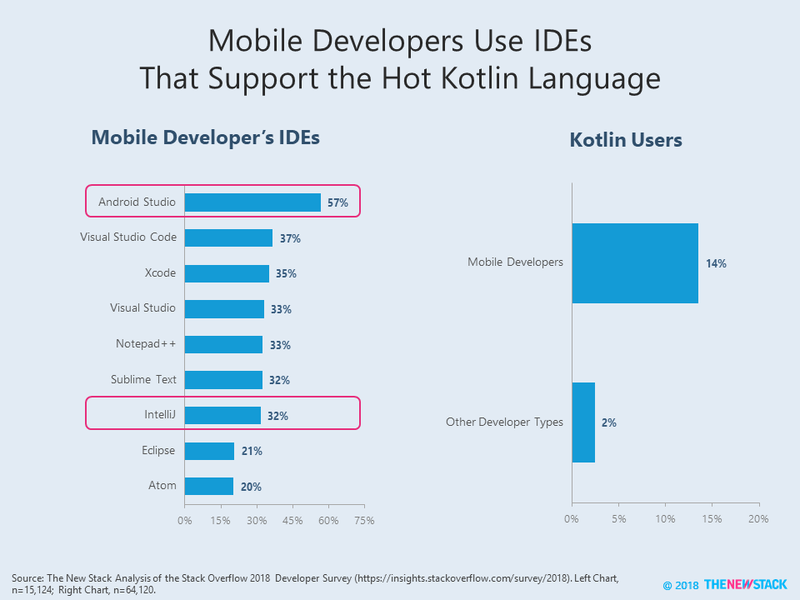 Pusher’s Zan Markan recently wrote about survey data that indicates that Kotlin is integral to the future of mobile development. In fact, 79 percent of users say there are no features they dislike. No wonder a full 37 percent of mobile developers in the StackOverflow survey expect to be using Kotlin by the end of 2018. Outside of Android-branded content, JetBrains is the next leading way people learn about Kotlin. With its strong position, expect it to attract new customers looking for professional level features and support. It doesn’t matter if IntelliJ has dominant market share among mobile developers. This does not translate into a monopoly in the sense that regulators care about because it is not using its position to hurt competitors. In fact, the IDE market has traditionally been dominated by free and cheap software, with brisk competition between offerings. That being said, being number one in a market has its advantages.